The Maruti Suzuki Dzire is available in 14 variants and 6 colours. 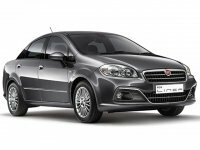 Here are more Maruti Suzuki Dzire details such as prices, specifications and mileage. You can also check out the Maruti Suzuki Dzire on-road price and EMI. Our detailed Maruti Suzuki Dzire comparison further helps you compare the Sedan with its rivals. 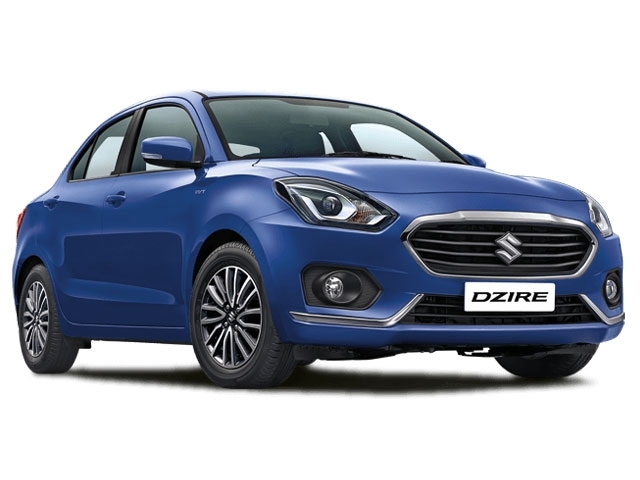 DriveSpark brings you every Maruti Suzuki Dzire information you would ever need. The Maruti Dzire showcases an elegant design language with a front-end design similar to the new Swift hatchback. Compared to the previous version of the Maruti Dzire (the Swift Dzire), the latest model looks more like a proper compact-sedan, rather than a hatchback with a luggage compartment attached to its rear. The front profile of the compact-sedan features a new hexagonal grille with chrome inserts, newly-designed headlamps and a revamped bumper with blacked-out fog lamp housing. The Swift Dzire also gets new alloy wheels and ORVMs with integrated turn indicators. The rear profile of the Maruti Dzire has a new tail lamp cluster. A chrome strip runs across the boot and connects both the tail lamps. While the overall design looks decent, there are still traits of length-cutting to bring the car to under four metres. The Maruti Dzire interiors are a mix of black and beige elements, in company with some wooden panels. Though it is based on the latest Swift generation, the dashboard of the Dzire is quite different from the hatchback. The AC vents follow a near-trapezium design and sits above the touchscreen infotainment system. The steering, although being a flat-bottom unit, gets wooden details to add to the elegance factor. Overall, the interiors look quite pleasing to the eye and creates a sense of roominess to the passengers. The Maruti Dzire is powered by the existing 1.2-litre petrol and 1.3-litre diesel engines with four-cylinders. The petrol engine makes 82bhp @ 6000rpm and 113Nm @ 4200rpm while the diesel engine produces 74bhp @ 4000rpm and 190Nm @ 2000rpm. Both the engines are available mated to a 5-speed manual gearbox or an AMT gearbox. The Maruti Dzire has a claimed mileage of 22km/l for the petrol variant and 28.4km/l for the diesel. The mileage figures, especially that of the diesel Dzire, were a benchmark in the compact-sedan segment at the time of its launch. The Maruti Dzire also showcases decent performance both in the city and on the highway. 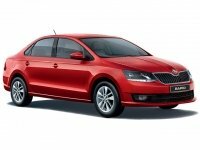 The automatic variant could give lesser fuel economy compared to the manual. The Maruti Dzire features enough to give its rivals a good competition. The Dzire features a seven-inch SmartPlay touchscreen infotainment system with Android Auto, Apple CarPlay and MirrorLink. The compact-sedan also gets a leather-wrapped steering wheel, rear AC vents, automatic climate control, electrically adjustable ORVMs and a neat set of 10-spoke 15-inch alloy wheels. The safety features of the Maruti Dzire include dual-front airbags, ABS with EBD, Brake Assist and ISOFIX child seat mounts. All the mentioned features come as standard across the Maruti Dzire range. The top variants of the new Maruti Swift are equipped with reverse parking camera and sensors too. India's most-loved compact-sedan is the sibling to India`s most-loved hatchback %u2013 the Maruti Swift. Though the first-gen Dzire was a full-size sedan, the next two generations came as a sub-four-metre compact sedan. The car can carry five passengers and enough boot, while also being able to fit in tight parking spots. The Dzire is an ideal car for small families who are looking for a small car but can settle for a smaller sedan.